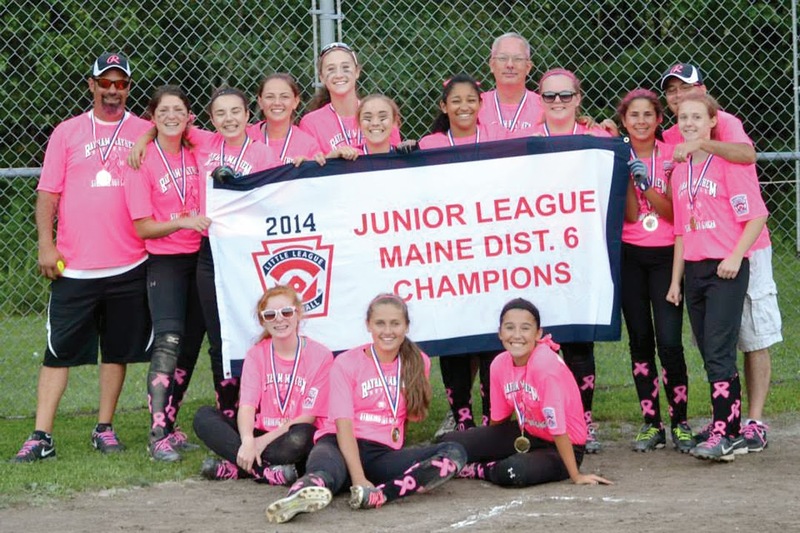 The Rayham Mayhem Junior League softball team captured their second straight District 6 championship last Thursday, with a 15-1 win over Gray. That win propelled them to the State Tournament, needing to win two out of three against Biddeford. Unfortunately, Biddeford couldn't field a team for the tournament due to scheduling conflicts and Rayham was automatically crowned State Champions. They now advance to play in the Junior League Regional Tournament in West Haven, Connecticut. The girls were state runners-up a season ago. The Mayhem is a Raymond Little League team that also has five Windham girls playing, thus the combined name of "Rayham." Team members are as follows, starting with the Windham players: Megan Joy, Olivia Mora, Maddy Mooradian, Alex Morang and Lauren Talbot. Raymond members include: Suzanna Butterfield, Kora Hunter, Jessie Meyer, Carlee Richmond, Danielle Tardiff, Taylor Tibbetts and Katelyn Troiano. Missing from the picture is Olivia Mora. Rayham is coached by Joe Troiano, from Raymond, Travis Demmons from Windham, and Todd Hunter and Pat Tardiff, both from Raymond. Having won nine games in a row, the girls breezed through the district tournament, outscoring opponents 58-7 in the three games. The bats were sizzling hot in the district tourney, led by Dani Tardiff going 11 for 13 with 7 RBI's and a home run. Suzanna Butterfield was also on fire, as she went 10 for 13, with 13 RBI's and two long home runs, including a grand slam. 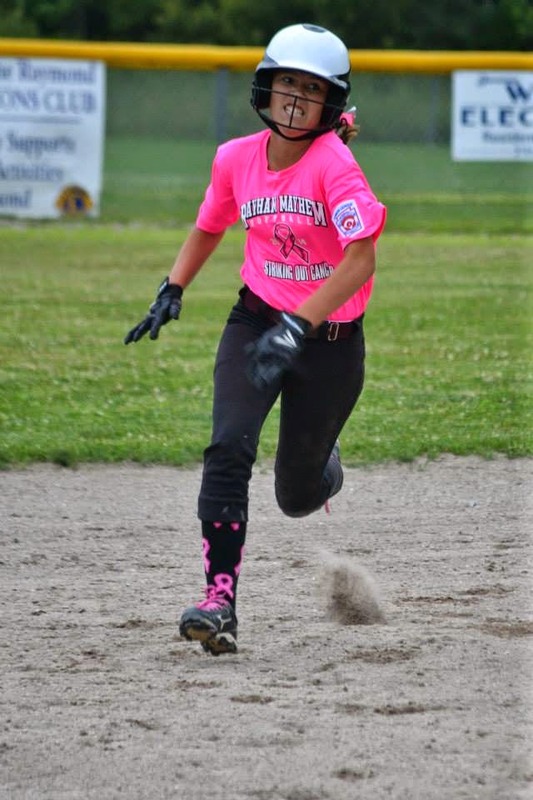 Olivia Mora was also red hot as she had 10 hits in 14 plate appearances, with 12 RBI's. 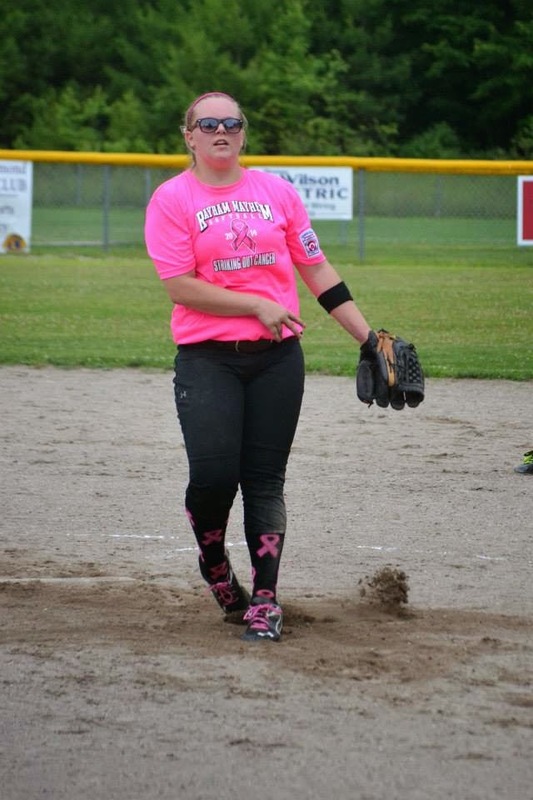 Taylor "T-Money" Tibbetts chipped in with 8 hits and 8 runs knocked in. Rayham's catcher Megan Joy was a dominating force behind the plate, ending two games by throwing out a would-be base stealer. Tardiff was also stellar on the mound, pitching 17 combined innings, giving up only 8 hits, three earned runs, while striking out 36 batters. The girls have some serious momentum heading into the regional tournament. 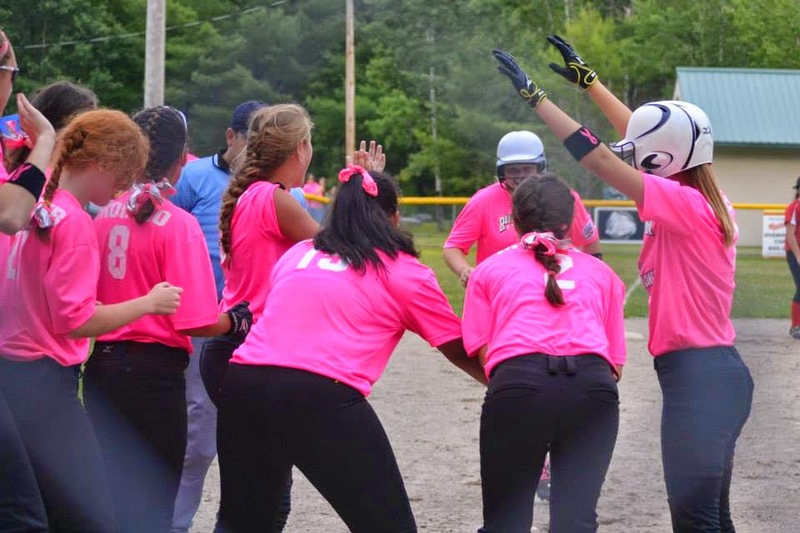 The regional tournament is a double elimination tournament with teams from New Hampshire, Massachusetts, Connecticut, Rhode Island, New York, New Jersey, Delaware and Pennsylvania. The winner advances to Kirkland, Washington, representing the East at the Junior League World Series. The team needs all the help they can get to travel to the regional tournament in Connecticut and have a website set up for donations at http://www.gofundme.com/bu4y8g. 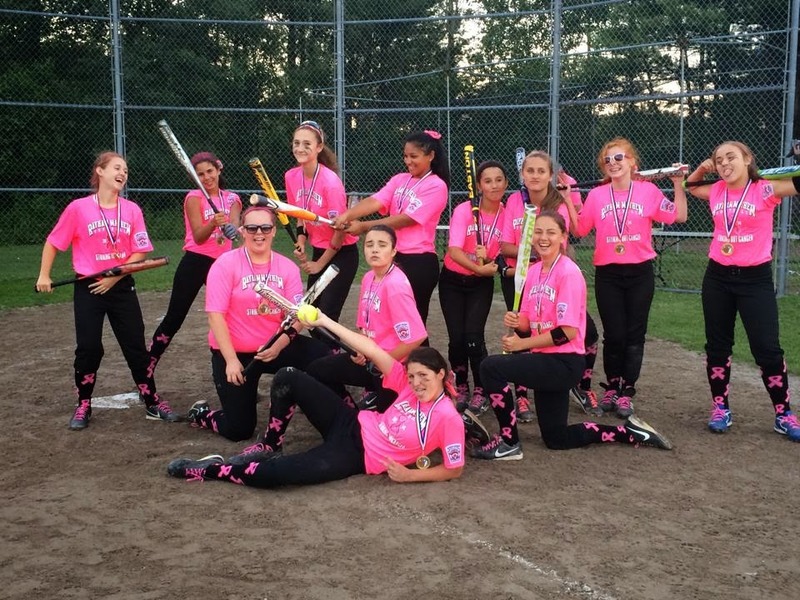 “We are in our second season of junior’s softball in the Raymond/Windham area. 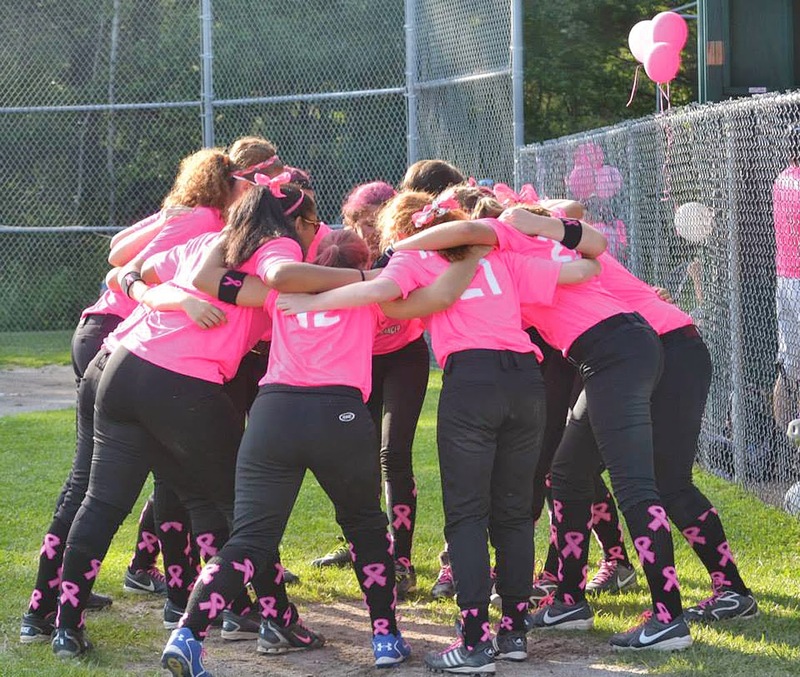 I originally started the league last year to give my daughter and other girls in the community more opportunity to play softball and help them improve their game. I never dreamed it would be this successful. We were state champion runners up last year in our first season and now one step further in our second year, making it to the regional tournament. Aside from being outstanding ball players, they are an unbelievable group of girls, and it’s been great to see them gel. I feel very fortunate to be able to have spent this season with them and share this once in a lifetime opportunity. It will be one they will never forget. Win or lose they will always be champions. The parents on this team are unbelievable. Always helping out whether it is with concessions, team events, field preparation, and just being supportive throughout the season. It’s the true meaning of team for everybody involved. Our sponsor Mike Meyer of Island Cove Building and Development has gone above and beyond what you would expect from any sponsor and contributed in a big way to making this season very special for all of us," said Troiano. Other generous donors to help with food and lodging at the regional tournament are Lonnie Taylor, owner of IDS, (Innovative Distribution Services) and Kevin Hancock, President of Hancock Lumber. This regional tournament starts August 1st. PIC 1: Dani Tardiff on the mound. PIC 2: Tardiff being greeted at home plate after her home run. PIC 3: Katelyn Troiano hustling to third base. PIC 4: The girls getting ready for their game against Gray. PIC 5: Rayham with the Championship banner. PIC 6: The Rayhem girls are ready for the regional tournament.